It comes as no surprise that the "bottom half of the internet" (as comedian Dave Gorman describes it) has, following England's defeat at Murrayfield on Saturday, featured various damning indictments of England's performance including, somewhat ludicrously, calls for the resignation of head coach Eddie Jones (the same Eddie Jones, remember, who has coached England to 25 victories out of the last 27 matches). A defeat to an aggressive, accurate and clinical Scottish team does not make a England a bad team overnight, that much is clear. But it wasn't so much the defeat at Murrayfield, rather the manner of the defeat, that should be cause for concern. I am not necessarily one of those who suggest that England performances have been getting progressively worse since reaching a peak with the 3-0 series whitewash in Australia in June 2016, but it certainly does feel like some time since we've seen a definitive and convincing performance from Eddie Jones' men (Scotland at Twickenham last year probably being the benchmark). At the 2015 World Cup England were ponderous in the tight five, one-paced in the back row, slow to the breakdown, had little cutting edge in midfield and lacked a joined-up defence - all factors that led to England's premature departure from the tournament and all of which were on display again during an abject first 40 minutes in Edinburgh on Saturday. England may now need unlikely bonus point wins over France and Ireland to claim a third consecutive Championship, but in reality the 2018 Six Nations is now Ireland's to lose. 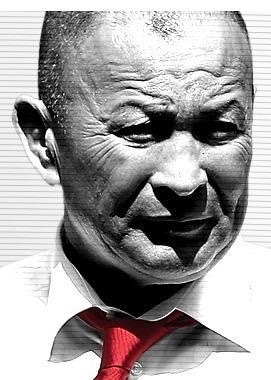 It therefore strikes me that Eddie Jones now has a unique opportunity to re-set expectations and move this England team forward - but to do so he needs to show that lessons have been learned from the defeat to Scotland. For instance, will Eddie concede that playing Robshaw at 7 and Lawes at 6 is a case of putting square pegs in round holes which simply doesn't work at international level? Will he finally realise that in reality he should only be picking three of his four international class locks for the match day squad? When will he recognise that picking Danny Care at 9 and then expecting him to play like Ben Youngs (rather than like Danny Care) is unlikely to work? Has he asked the question as to whether George Ford can operate successfully behind a non-dominant set of forwards? And will he consider whether the likes of Dylan Hartley, Dan Cole and Mike Brown - all important players for him over the last two years - might now be holding England's progress back? One thing that Brown and Faz do well is contest the breakdown, not sure if the others do.